Swords emerged in the Bronze Age. 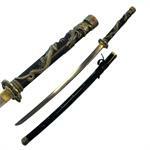 These bladed weapons were used for numerous purposes, mainly for fighting. You must have seen a lot of movies with sword fights. 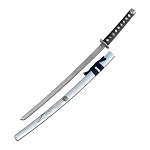 The longer blade of sword makes it different from other bladed weapon such as the dagger or knife. 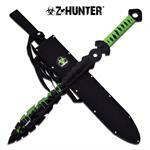 The large blade made it easier not only for attacking but also for defending oneself from an attack. Along with a top quality blade, the sword handle is also made up of great quality which doesn’t let the sword loose easily. At Knife Import, you will find a distinct collection of swords from different periods of time. Truly classic weapons, the swords are one of the best items one can get hands on. 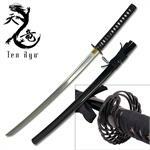 The cool swords on board are a historic weapon that have been used in the ancient wars and have been modified over time. 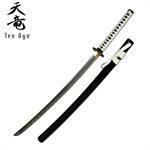 Having one in your hand gives you the feel of a real swordsman. 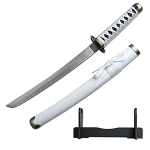 Knife Import offers the real swords for sale at cheap price. 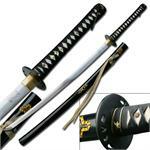 There is a huge variety of swords on display for you to choose from as per your liking. 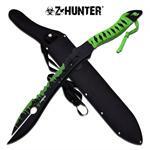 We are not limited to one type of item; under each category we have different types of items so that customers find it easy to make a choice. 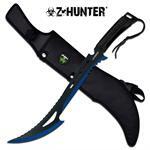 Same goes for the cool swords that we have. 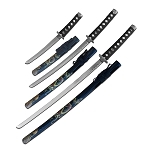 There are different types of swords for sale. No matter if you are a collector and interested in historical items, or a passionate swordsman, these cheap swords will fulfil your needs perfectly. 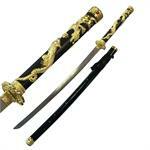 We have the elegant designs of ninja swords and samurai swords. 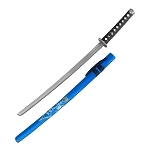 The reminder of medieval period, the medieval swords; for turning your fantasies into reality, the anime swords and fantasy swords are also available. For practice and kids’ funs, we also have the wooden swords and foam swords. 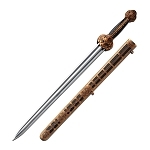 Sword cane, rapier sword, dragon sword, scottish claymore and the short sword are also the popular ones in our huge stock of swords. 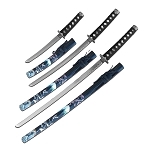 When it comes to money making, Knife Import serves as the best platform. 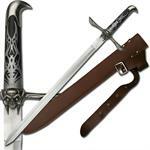 Because we have some cool swords that are made up of high quality. 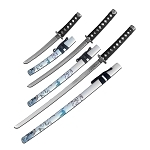 The more surprising thing is that all these swords are available at very cheap wholesale price. 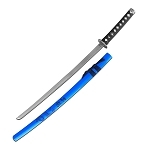 If you are retailer, then buy them in bulk and start making money by selling these swords. Sounds interesting? Right, place your order right now for the cool wholesale swords.